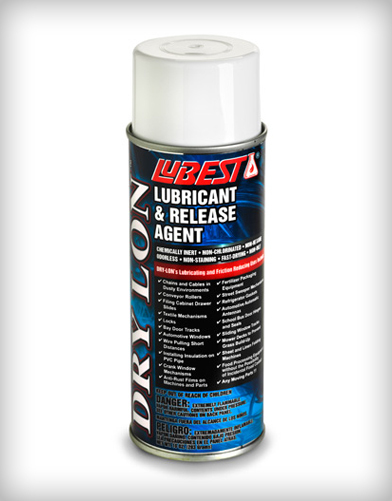 High-performance multi-surface dry lubricant and release agent. 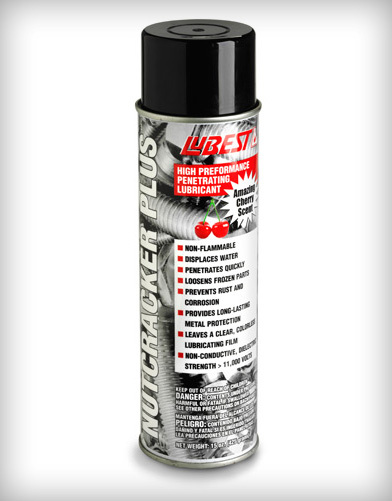 Formulated with an extremely fine PTFE powder suspension that reduces friction better than silicone, graphite, and oil. 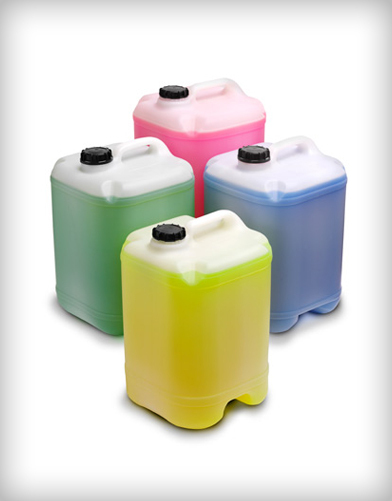 Provides outstanding microscopic film-forming properties that resist temperatures from -73°c to 260°c. 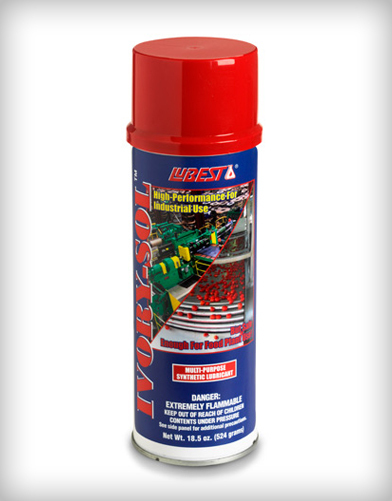 Use on locks, door tracks, window tracks, conveyor rollers, drawer slides, textile mechanisms, hinges, and other moving parts.